Although acute myeloid leukemia (AML) is relatively rare in children,drinking alcohol during pregnancy could increase the risk, according to arecent paper published in Cancer Epidemiology, Biomarkers & Prevention,a journal of the American Association for Cancer Research. Julie Ross, Ph.D.,director of the division of pediatric epidemiology and clinical research at theUniversity of Minnesota, said there are about 700 cases of AML in the UnitedStates in children each year. "It's quite rare, so we want to be careful about worrying parents toomuch," said Ross, who was not involved in the study, but is an editorialboard member of Cancer Epidemiology, Biomarkers & Prevention. Ross and the lead researcher of this study, Paule Latino-Martel, Ph.D.,research director at the Research Center for Human Nutrition in France, agreedthat these findings should strengthen the public health recommendation againstalcohol consumption during pregnancy. 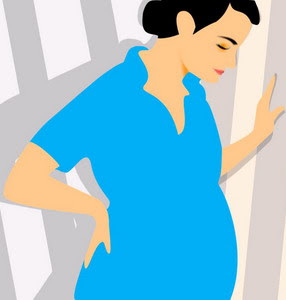 "Despite the current recommendation that pregnant women should notdrink alcohol during pregnancy, alcohol consumption during pregnancy is 12percent in the United States, 30 percent in Sweden, 52 percent in France, 59percent in Australia and 60 percent in Russia," said Latino-Martel. Latino-Martel and colleagues analyzed 21 case control studies. Alcoholintake during pregnancy, defined as a response to a yes or no question, wasassociated with a 56 percent increased risk of AML in children. The risk of AMLwas higher in children aged 0 to 4 years old at diagnosis. There was nosignificant association with acute lymphoblastic leukemia.